Getting Financing After Bankruptcy: It’s Possible! If your credit score isn’t as high as you’d like and you’re in the market for a used car, don’t panic! There are several things you can do to increase your likelihood of getting financing despite bankruptcy. Spouses or parents of people who want to buy used cars with bad credit are sometimes asked to be co-signers of loans. A co-signer is a person who agrees to take over financial responsibility if the main individual associated with a loan is unable to do so. If there is someone in your life who feels confident that you won’t have trouble paying back your loan, it’s a good idea to ask him or her to be a co-signer. If the person has good credit, that factor will be weighed when considering whether to approve you for the loan. We offer financing so it’s as hassle-free as possible for people to buy cars. When you’re worried your credit history may impact on your ability to participating in a financing option, speak frankly to us. We help people in a wide variety of situations. You may discover when you deal directly with us, getting approval for financing is a lot easier than you thought it’d be. Showing evidence that you have consistently paid off your credit card bills is a great step. It’s also useful to bring a letter from an employer or medical professional if applicable. Now it should be clear that buying used cars after bankruptcy isn’t impossible. 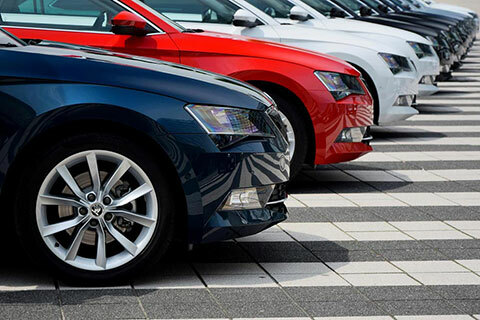 We offer financing that could make your car-owning dream become a reality.